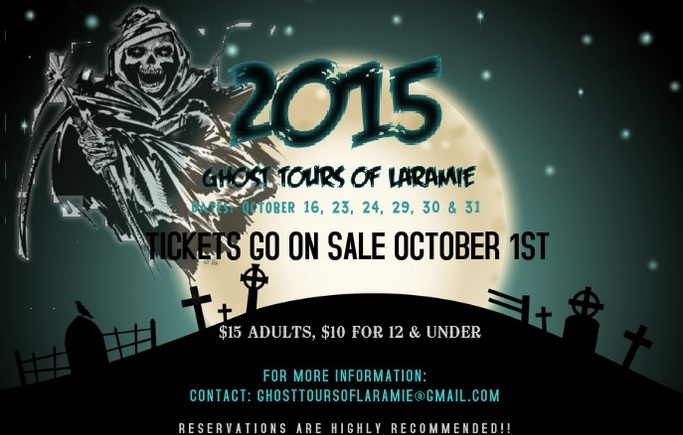 Mark your calendars–Ghost Tours of Laramie is back for 2015! 2014 gave us five SOLD OUT nights, so we’ve added a sixth night for 2015 to make sure you don’t miss out on all of our Haunts, History, and Halloween Fun. Make sure to join us on October 16th, 23rd, 24th, 29th, 30th, and 31st! Stay tuned for sneak peeks, deals, and details…there’s more to come!